Hi friends in blogland! Are you ready for a quick little makeover? 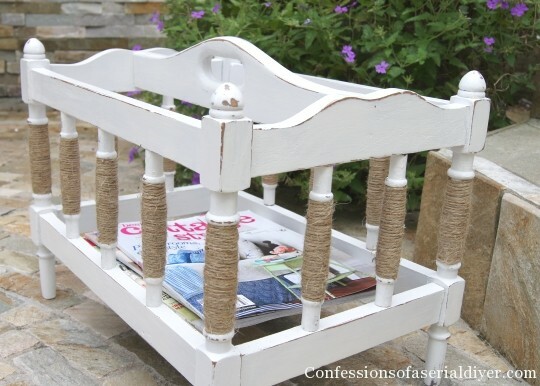 I should have named my blog, Confessions of Serial Makeover-er. Ain’t it perty? Maybe not yet, but I was drawn to it for some reason. 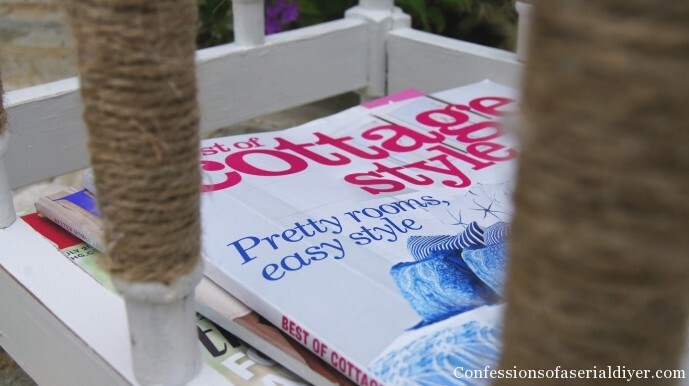 How on earth am I going to take this homely magazine rack over to cool coastal cottage? 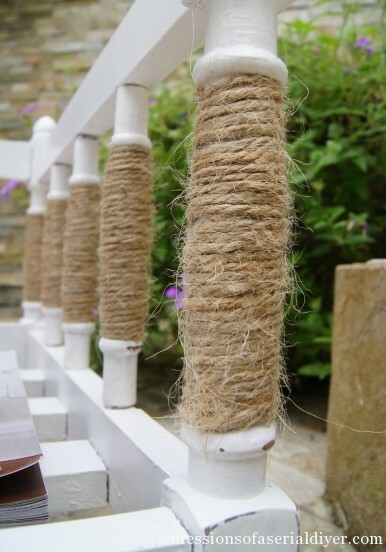 The twine gives it a bit of a fun coastal feel, no? 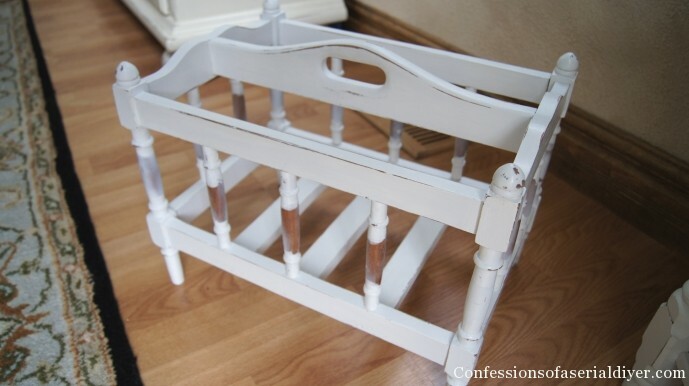 I used the very last of my Annie Sloan Pure White chalk paint. 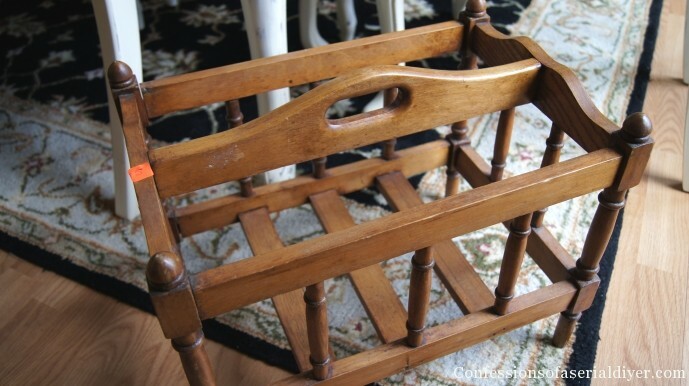 I am looking for one of these to repurpose into a baking sheet/pan holder for my BFF. Hope to see a post from you on one of those in the future! I found a pattern for one that is solid rather than slats which would make it easier to paint. Hope my made from scratch rack looks as good as yours! Love your blog! Getting great ideas! Hi Christy! 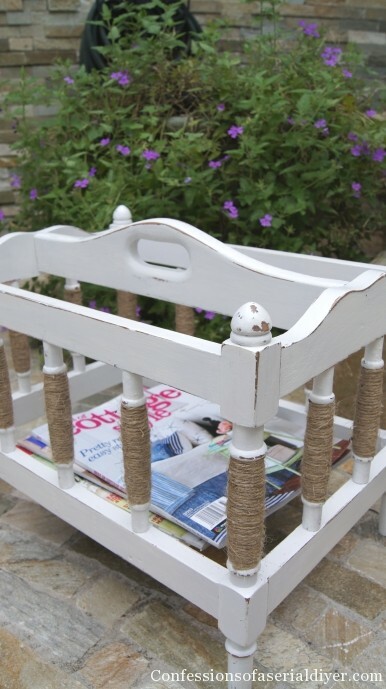 As always, love the makeover you did on this piece.. You always give things a fresh new spin – the twine is a great touch! Thanks for sharing – pinning! Have a happy Wednesday! It looks SO cute now!!! Super cute! I love adding twine to stuff! I’ve been seeing you featured all over the place! Kudos 🙂 Have a great day! 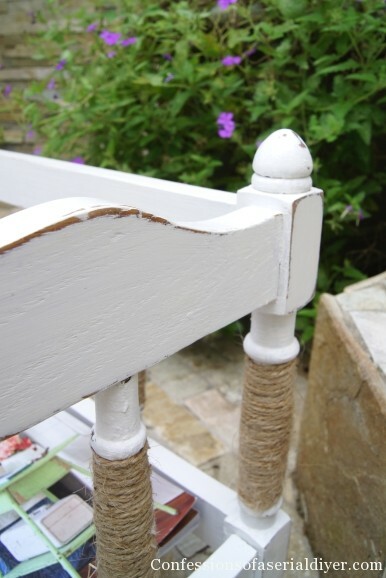 It always amazing me what a little paint and twine can do. It looks great! I love this makeover, Christy! So cute! Oh BESTILL my hear!! Seriously! 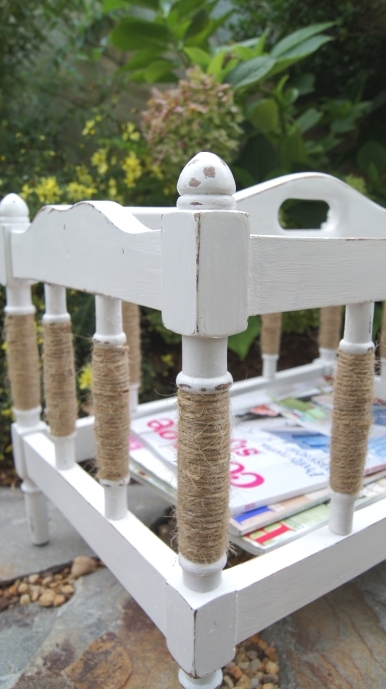 I love this… the perfect amount of distressed white paint and all that TWINE! Pinning and sharing on my facebook page later today! I love serial makeovers! 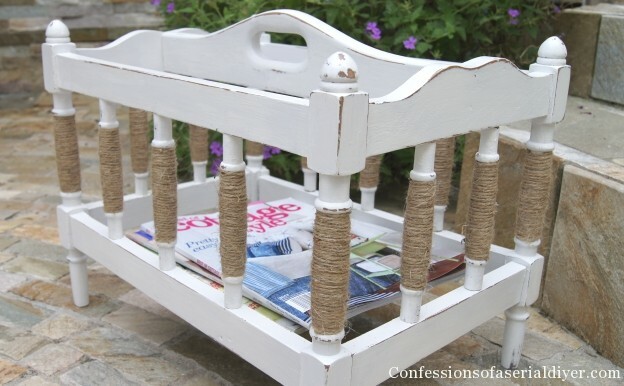 Just stopping by from Best of the Weekend Party, this is a super cute idea and I know I need something cuter than an a shelf to hold all my magazines and books! Hope you have a great weekend! Wow…it is amazing how you transform these pieces into works of art!!! So cool. Thank you so much for joining us and sharing at Best of the Weekend! Pinning to our party board. Have a wonderful weekend and please join us next Friday.